Belvedere Designs: Dress Up Your Car! 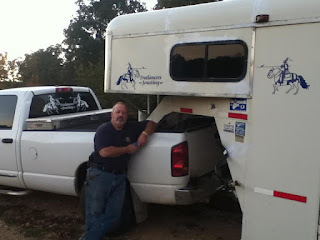 You probably get into your vehicle everyday. The same ol' vehicle. 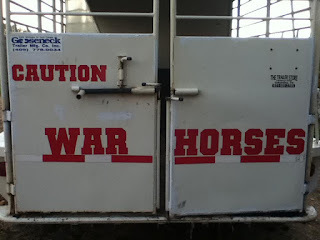 Unlike the rooms of our house, vehicles aren't so simple to just repaint and remodel. 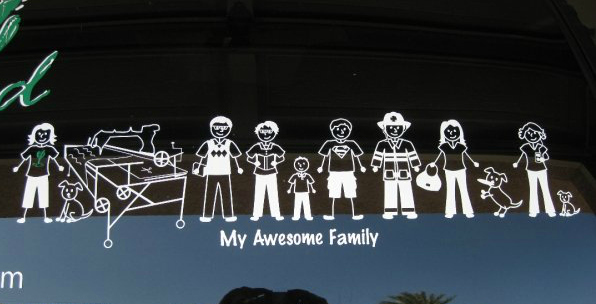 Don't fret, there are still many things you can do to your car to express yourself and add a bit of you to it! Whether you just want to add a little personality or some business exposure to your vehicle, the Belvedere Designs team is here to help! Our team has designed and produced many corporate and small-business logos, mission statements, vehicle stickers, wedding monograms, and even stick families! We can work with hand-drawn art, photos of your design, and even just a rough idea of what you are looking for and perfect it until you are totally happy with it! 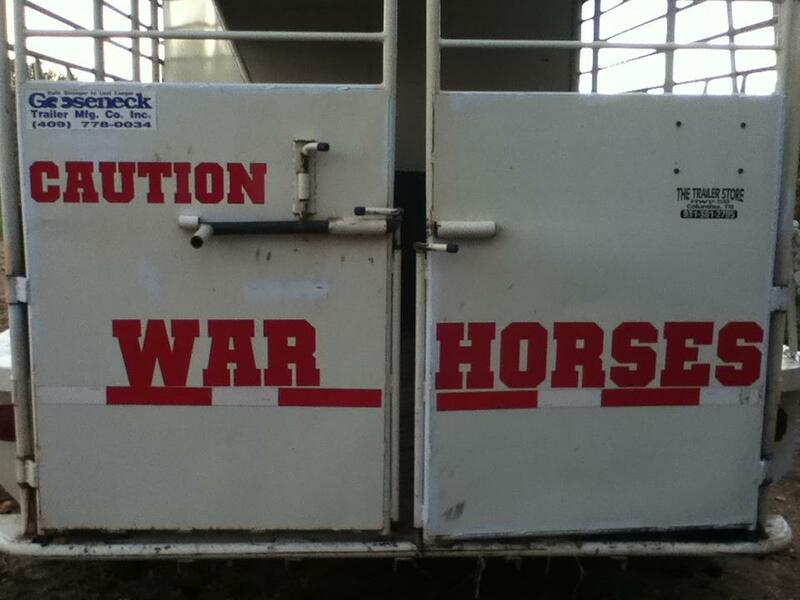 Below we have a few examples of what past customers have done to "dress-up" their own vehicles! 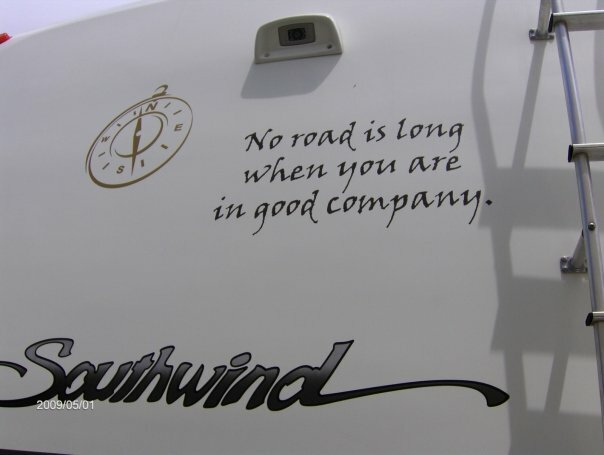 On the side of this RV our customer has used the Friendship Wall Quote #4 that reads, "No road is long when you are in good company." 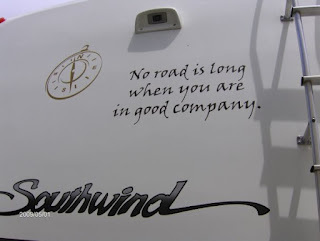 The compass to the left is also comes with this quote! Family stickers are so much fun! 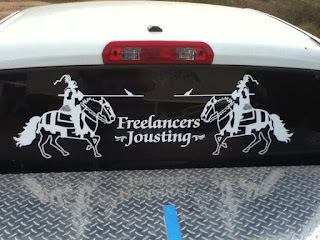 These are just a few ideas on what can be done with these decals. 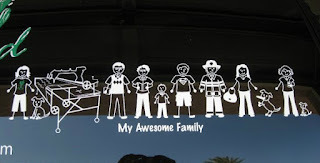 This one says, "My Awesome Family." The words below are totally customizable, and can read your family name or anything you want! 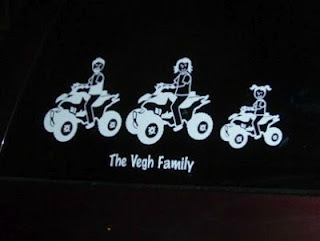 This is probably my favorite of our family stickers. It's so darn funny! It reads, "We just ate your stick family." 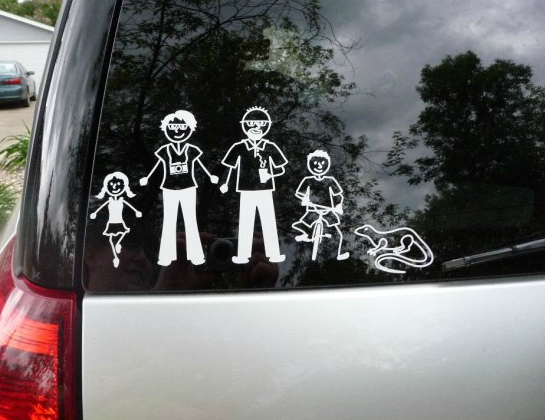 So instead of the classic stick figure family this is the zombie version of stick figure families. This is too funny! 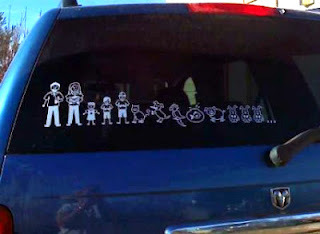 This family has two vehicles, one small car that reads, "escape pod" and one family van that reads, "the mothership." It's just hilarious to me, because if you are taking the kids with you you'll need the van to carry them all, but if you need an escape then you will not be taking the kiddies with you so you'll want to drive the "escape pod." Here we have one of our customer's business logos he has added to his truck and horse carrier.